AusGroup Limited (the “Company”) is pleased to announce the extension of work under its current Master Services Maintenance contract for services at Chevron Australia’s natural gas facilities in Western Australia. 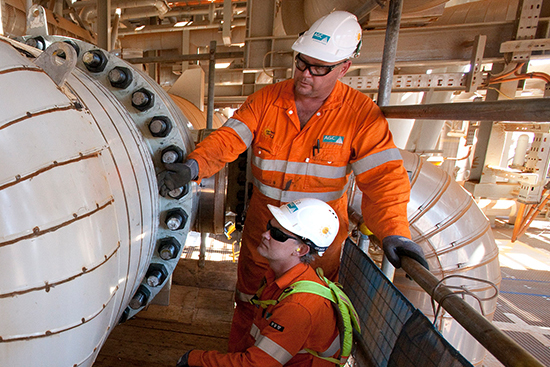 Under the extension of work, the Company will supply experienced planning, supervision and multi-discipline trade resources, to support a scheduled major turnaround at the Chevron-operated Gorgon facility. This opportunity will create 150 local jobs. In addition, several key packages across Chevron’s WA natural gas facilities have also recently been awarded under this contract including pipe fabrication, compressor transportation and lifting frame, main stack replacement and the Phase 3 & 4 RIAG modules fabrication.